A mystery is afoot in the halls of Baker Elementary School, and Kid Sherlock and Watson the dog are on the case! 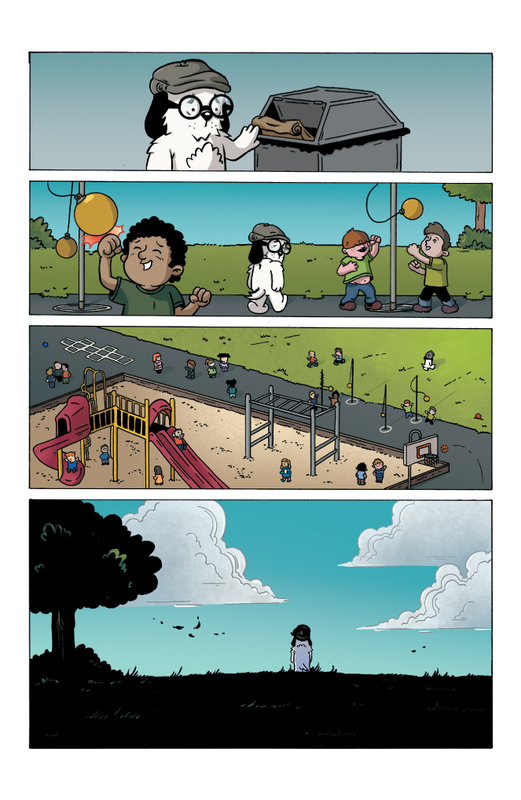 Writer Justin Phillips comments, "School can be tough. 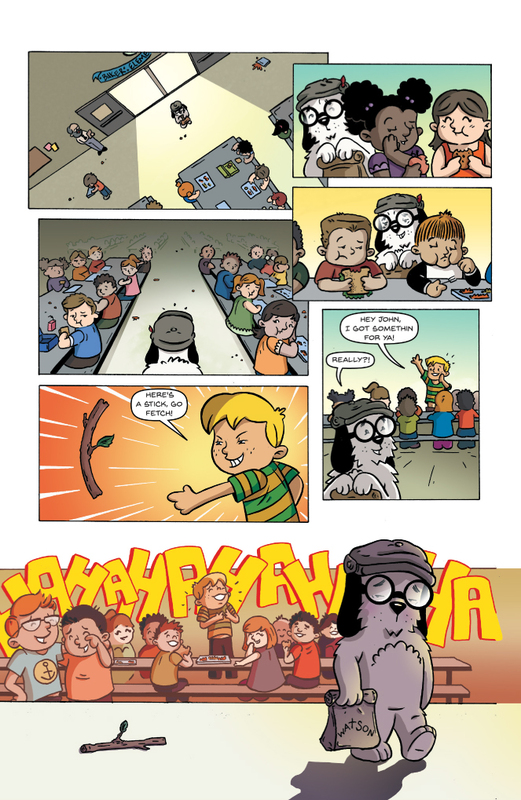 Trying to make friends, fit in, or just avoiding the school bully is hard no matter what grade you are in. 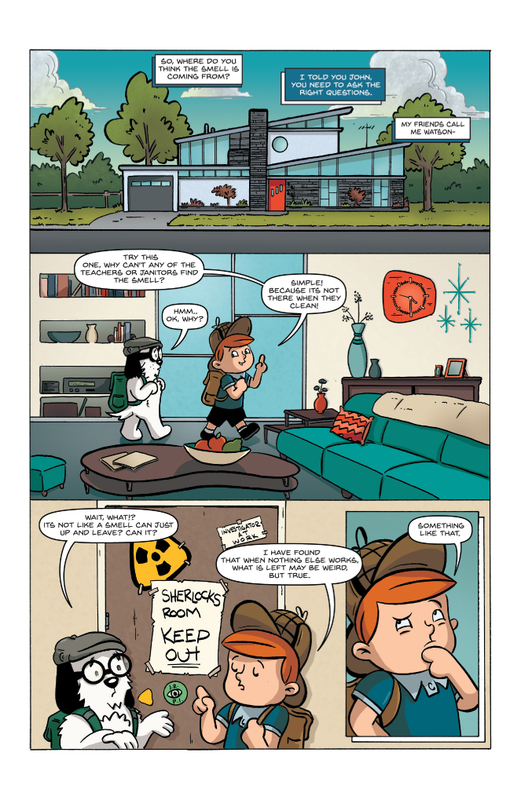 Kid Sherlock touches on all of these issues and more and helps us to see that we don’t always have to fit into still belong." 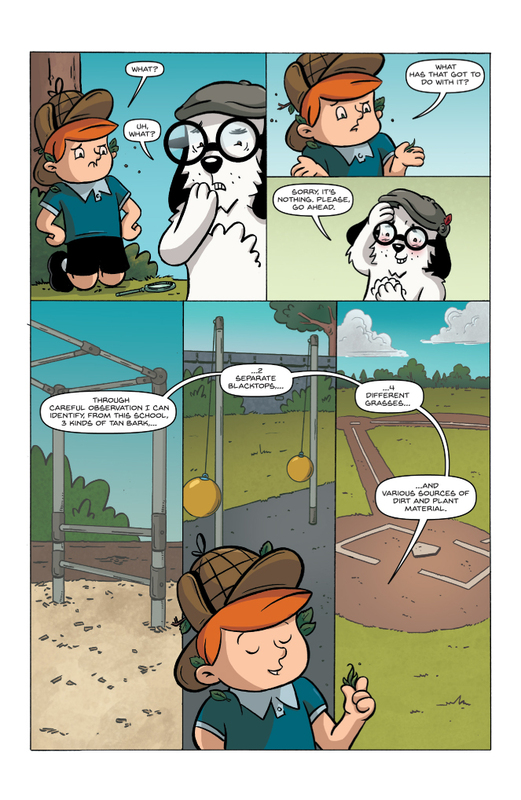 Each story is 22 pages, including a single page gag bit at the end. 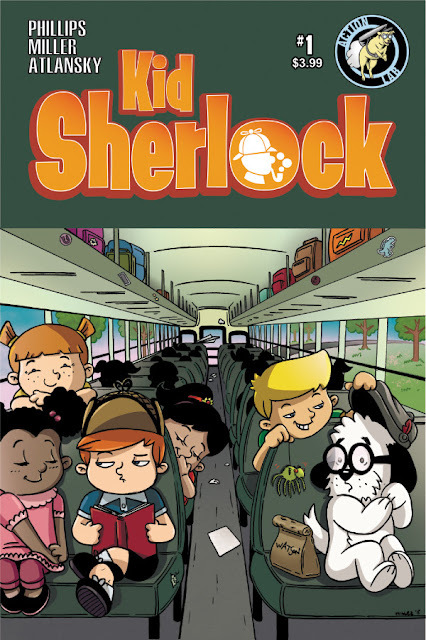 KID SHERLOCK is an all ages book that will appeal to young readers and adults, as well as fans of Sherlock Holmes and mystery stories. 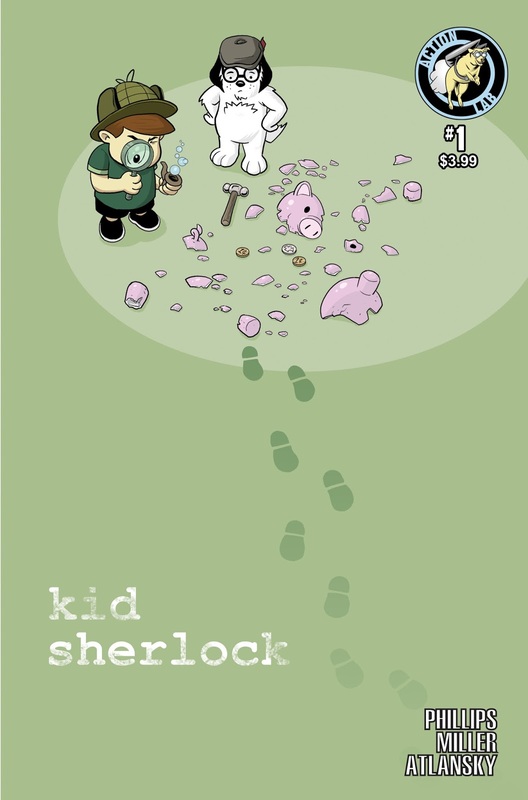 KID SHERLOCK will debut June 2017.